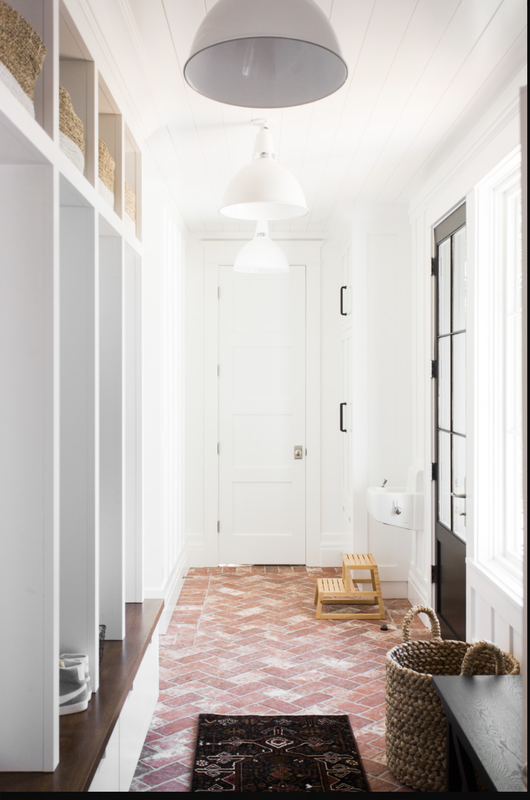 Traditional Antique is a weathered brick floor tile, and is the straight-sided relative of the Wright's Ferry 4x8" brick tile. 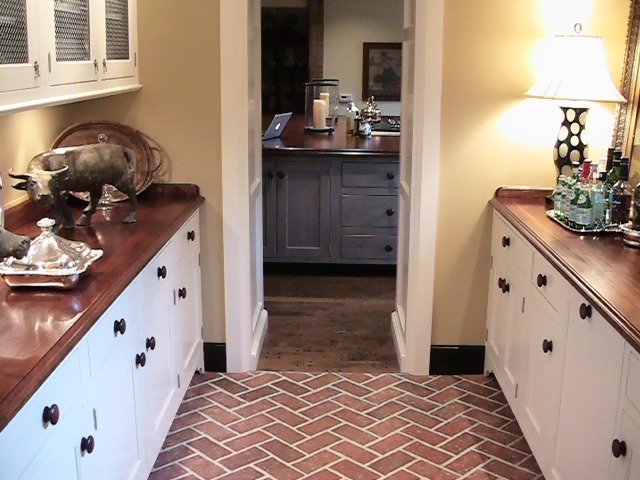 Like the Wright's Ferry, Traditional Antique bricks represent the large face of the brick most often seen on floors. 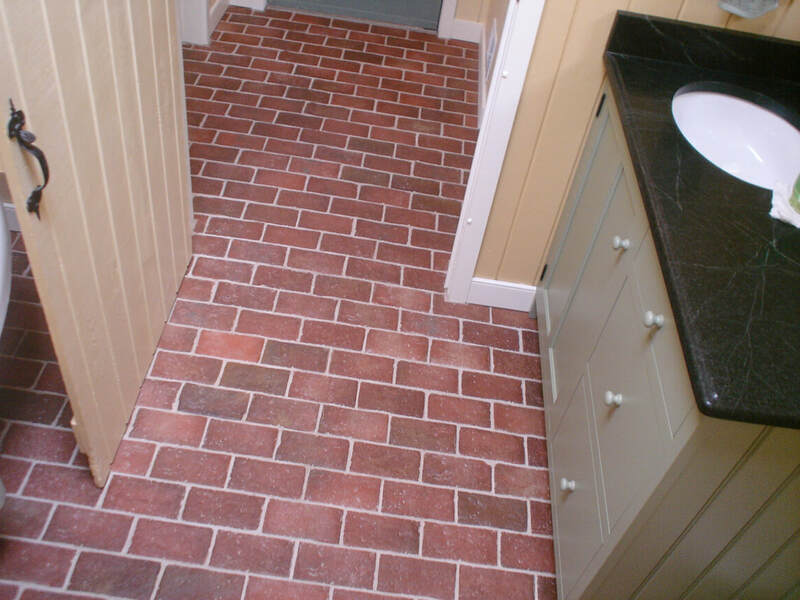 While Traditional Antique retains the antique brick surface of the Wright's Ferry style, the more regular shape of these brick tiles make it a common choice for installations where a thinner grout joint is desired. 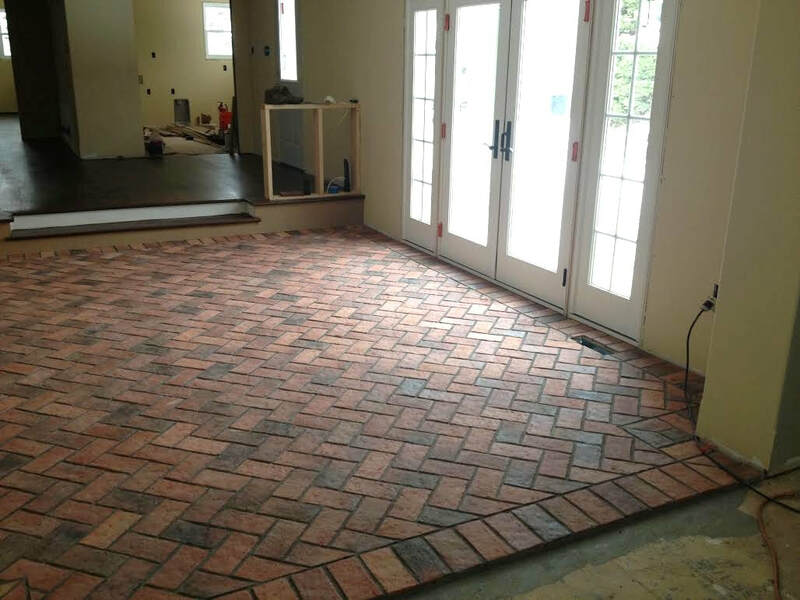 Because our Traditional Antique brick paver tile is straight sided, it can be installed with grout lines that are as thin or thick as you desire. For a smoothed version of our 4x8" tiles, request our King Street 4x8" brick pavers. Designed to accommodate luggage wheels in the hotel lobby of a commercial customer, the King Street brick flooring tiles eliminate the slight dips and crevices of the Wright's Ferry and Traditional Antique brick veneers, while retaining the color variation and hand-formed appearance that defines Inglenook brick tiles. Keep in mind that the same clay is used on all our brick tile styles and that the different color effects you see on one can be made on any style. 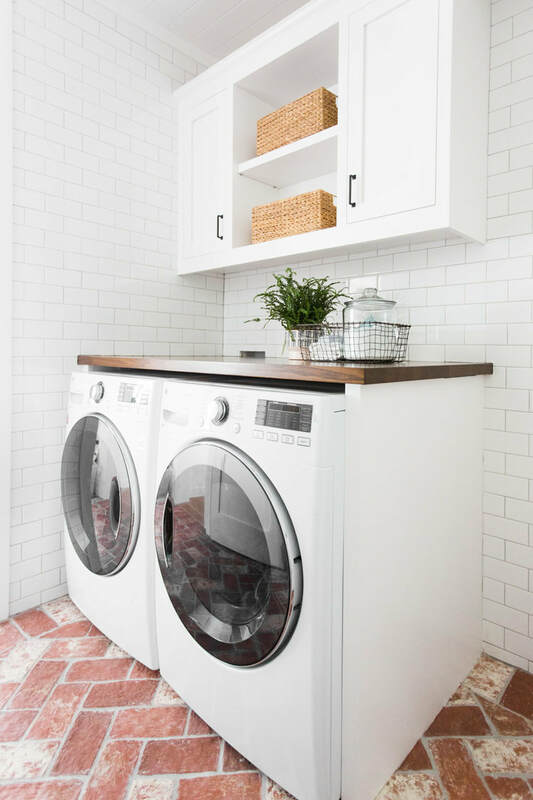 The laundry room picture below has white porcelain clay fired into the red brick clay for a worn paint or white washed brick look. Contact us at 717-806-3900 to talk through the best option for your home. Brendan Dolan's floor in progress -- Pine Street Carpentry. There is some charred black on half of this floor. 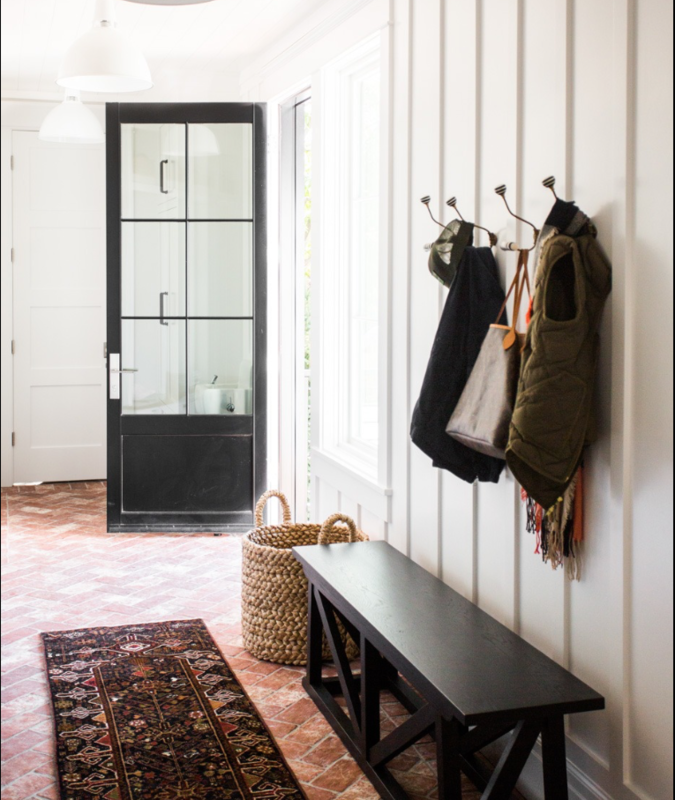 The two beautiful Traditional Antique tile mudroom floor pictures were sent by Studio McGee. This pantry floor is the standard Old Strasburg color mix, where the color variations come from where the tiles are in the kiln. This is a good close-up picture from the Lutz's powder room and hallway that shows the standard Old Strasburg color mix. You see the tone variations, which come from where the tiles are in the kilns.